Today, Dynasty Electric handles the wiring infrastructure of new luxury apartment buildings with hundreds of units. Joe Fortin’s two sons, son-in-law, his daughter and his wife all work in the company; creating a family business was his dream. It’s a far cry from the basement where it all began. But success came through hard work—and despite daunting obstacles. 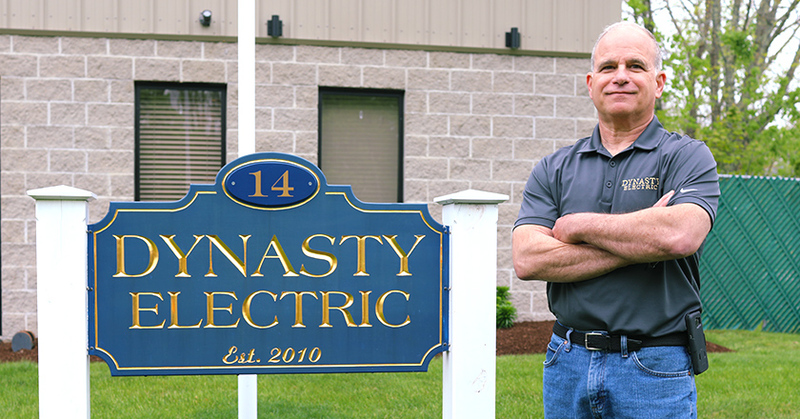 Joe left a position with a major electrical company during a challenging economic environment to build a business that would sustain his family for generations. Naysayers warned him, “You’ll never get financing or bonding.” Webster Bank disagreed. Joe found the partners he needed at Webster Bank: a team willing to roll up their sleeves and help Joe turn his vision into reality. Electrical subcontractor for luxury apartment complexes.